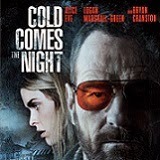 Alice Eve (Star Trek: Into Darkness) and Golden Globe winner Bryan Cranston (Best Actor, TV’s “Breaking Bad,” 2013) star in the edge-of-your-seat, cat-and-mouse thriller, Cold Comes the Night. 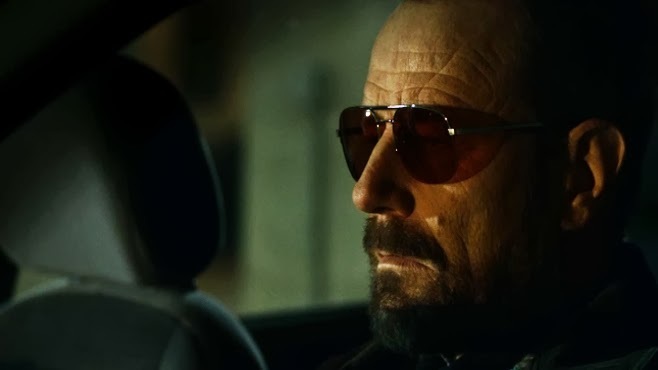 Directed by Tze Chun (Children of Invention), this crime drama is filled with twists and tension when a struggling motel owner (Eve) is taken hostage by a career criminal (Cranston), and forced to become his guide and driver as he attempts to retrieve his cash package from a crooked cop (Logan Marshall-Green). Chloe owns a seedy motel off the highway where people check in for hours at a time. One night, two men, a criminal and his driver, check in, separately, and one ends up dead. The other, Topo, is an almost blind criminal who is on a job. After the police remove the evidence from the murdered man’s bedroom, Topo takes Chloe and her daughter, Sophia, hostage and makes Chloe drive him to where the police have impounded his car so she can retrieve the bag of money he is supposed to deliver. Chloe breaks into the car only to find the package missing and returns to tell Topo. Topo holds Chloe and Sophia hostage throughout the night and tells her to find out where the money went. Chloe knows Billy, the corrupt cop who has taken advantage of her and her motel, has stolen the money and tells Topo she will get it back the next day and waits out the night with Topo in her home. The next day, after sending Sophia off to school, Chloe and Topo go off in search of Billy and find him at a shopping center. They follow him until Chloe runs a red light and Billy ends up pulling her over. Topo and Chloe take Billy hostage and force him to tell them where the money is. After retrieving the money, Topo double-crosses Chloe, with whom he made a deal to share the money, and in order to make the delivery, leaves her back at the motel. Chloe calls the police and tells them the whole story and what happened to Billy. The police park a car outside the motel and Chloe, wanting to run away, in order to make the police leave, calls in a false report. As she’s preparing to leave, she hears someone at the door and thinking it’s Sophia, she goes downstairs. Seeing Topo there, she’s initially afraid he is going to kill her, until he leaves her half the money. As he leaves, Billy shows up and chaos ensues. I’m not sure how I feel about this movie. It was an interesting story, but the dialogue was just not written very well. 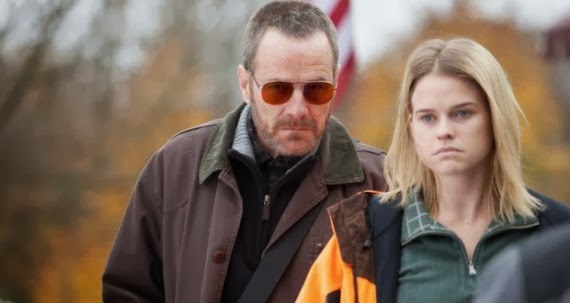 The performances by Bryan Cranston and Alice Eve were adequate, though Bryan Cranston’s accent (Russian?) was not great. Normally, I like the suspenseful movies. This could have been so much more suspenseful and that would have made it that much better. Cold Comes the Night is presented in 1080p high definition and the picture was clear. Parts were a bit gritty, but I think that’s how it was supposed to be. Skin tones seemed a little off, with Alice Eve looking a bit pallid and grey and the little girl who played her daughter, a bit orange. Other colors where muted and the night shots were pretty sharp and easy to see. Cold Comes the Night’s audio was really good. It is presented in English 5.1 DTS-HD Master Audio and all the sounds were crisp and clear. I could hear all the background noises, the whispers and gun shots without having to adjust the volume. The movie starts off in silence and for a minute I thought I needed to turn it up, but then realized it was supposed to be like that. 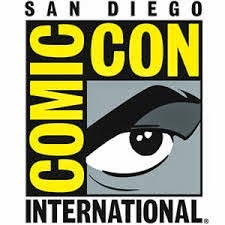 Audio is also available in English Audio Descriptive Service, French 5.1 DTS-HD Master Audio, German 5.1 DTS-HD Master Audio, and Portuguese 5.1 DTS-HD Master Audio. Subtitles are available in English, English SDH, Danish, Finnish, French, German, Greek, Hindi, Icelandic, Norwegian, Portuguese, and Swedish. Basically, a ton of languages… except for Spanish. Which is kind of weird. 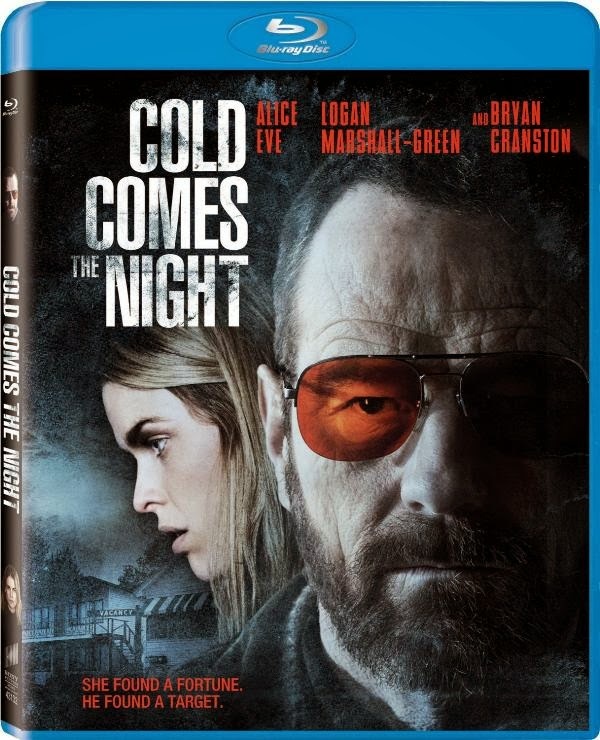 Cold Comes the Night had only one special feature and that was a few deleted scenes. There is a play all option, or you can watch all four individually. In my opinion, none of these scenes would have made the movie any better if they were left in. Good decision by the director and editors to leave them out. The other part of the special features section isn’t a special feature. Just the previews from the beginning of the disc replayed. Cold Comes the Night was in interesting movie. I liked the story, the execution could have been better. 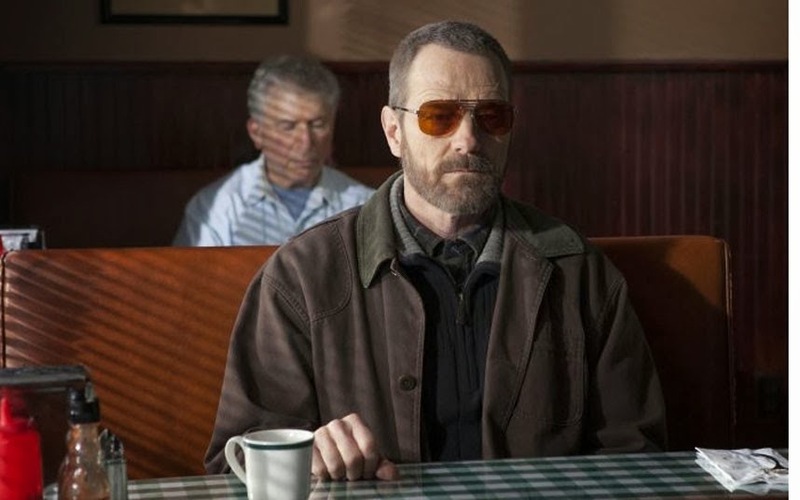 I am a fan of Bryan Cranston, even though I have never seen "Breaking Bad." I think he was the correct choice to play the part of Topo, I’m just not sure about the accent and think the writing could have been better. Still, it was an okay movie and I would recommend it to Bryan Cranston fans.